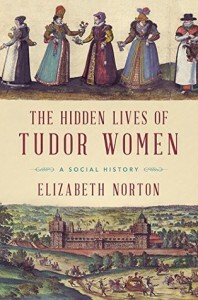 Take a step into the lives of Tudor women. From Elizabeth of York to Elizabeth I, this book dives into the lives of not only the nobility, but some of the more notable names of the day. Most women were seen as quiet and "homemakers" some women in the Tudor ages made a name for themselves. Nuns, queens, and members of the working class, all of them had one thing in common.. they were women trying to survive in a male dominated world. They were not written into history of their own accord, but we can learn quite a bit about them from some of the surviving documents of the time, and through the lives of their husbands (of course). While some male figures, such as Henry VIII thrust many women into the spot light that might have had their names lost to time, there are others that made a splash into the spotlight owing to some very daring behavior. Anne Askew, Elizabeth Barton, Jane Dormer, and Cecily Burbage are just a few that are named in this commentary. This was an interesting read, and one that I enjoyed. While most of the names were familiar through other readings, there were a few that I had not heard much on before. This read is worth the time that it takes to get through it.